Roadkill begins on a bus with 25 audience members accompanying 13-year-old Mary and her “Auntie” to Mary’s new “home,” a benign looking Brooklyn apartment. 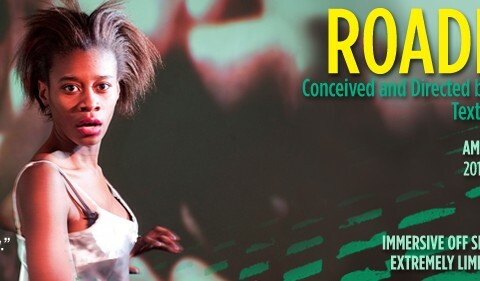 Having just arrived from Nigeria with the hopes of learning English and one day landing a good job, Mary’s excited, bubbly chatter peppers the ride… ­Completely sold-out in Edinburgh, Paris, London, and Glasgow, Cora Bissett’s critically acclai­med, explosive Roadkillthrusts audiences into the brutal, complex, and hidden world of human trafficking (based on the real experiences of women trafficked to the west). The performances are brave and affecting, making it impossible to turn away or remain complacent. Roadkill is the only production in Edinburgh Fringe history to win every major theater award. A performance of shattering intensity.